Liproxenol Max is a weight loss supplement manufactured by J.C. Arnica and marketed worldwide via a number of product-specific websites. 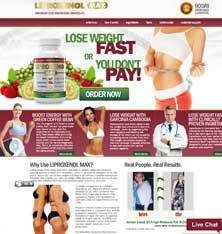 The Australian site can be found and it presents all the usual pictures of doctors in white coats and girls checking how they size up against a tape measure, along with an unexpected product overview presented via a video presenter who walks in from the side of the screen, just seconds after the page loads and states she wants to tell people all about “Australia’s leading all natural weight loss supplement”. The speech is not uninformative, but it can get a little tedious when it is repeated on most of the other pages. Increased digestion of fatty tissues. What is Liproxenol Max and how does it Work? Liproxenol Max is a diet pill that has been designed to assist weight loss in a number of ways. If the pills successfully suppress the appetite in the promised manner users should find it easier to stick to a calorie retarded diet and eat less food. If the amount of food eaten each day is inadequate for the body’s needs, the body will start to burn body fat and use it as an alternative energy-provider. C. Arnica also claims the pills boost the metabolism. If this is so the body will burn an increased amount of calories and the fat burning process will be initiated even earlier. It’s hard to say what “digestion of fatty tissues” entails, but enhanced lipid migration and fat oxidation are both involved in the process of turning body fat into body energy. Putting it in the most basic of terms, Liproxenol Max has been designed to help dieters burn more calories than they consume each day, but how well it functions will be entirely dependent on the quality of the formulation. The official side does not provide a complete list of the ingredients used, or any of the inclusion rates involved, but the video presenter states Liproxenol Max contains a proprietary blend of seven clinically-proven all-natural ingredients. 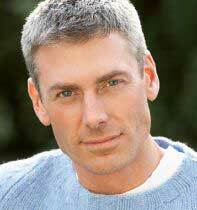 The presenter further states the formulation has been praised by nutritionists and personal trainers, but the site only lists the three main ingredients: green coffee bean extract, raspberry ketones, and garcinia cambogia. What the rest of the formulation consists of is anyone’s guess. Green Coffee Bean Extract: Coffee beans that have not been roasted, and retain their natural colour. They also retain an important compound called chlorogenic acid that is usually lost during the coffee bean roasting process. Chlorogenic acid assists weight loss by boosting the metabolism and raising the body temperature very slightly to trigger the thermogenic fat burning process. Raspberry Ketones: A fruit-based ingredient that is useful for suppressing the appetite and retarding fat cell production. The active component (adiponectin) can also increase the breakdown of molecules within fat cells and create an environment that is capable of supporting thermogenesis. Like green coffee bean extract, raspberry ketones can get to work fast and the ingredient is known to be held in high regard by the American socialite Kim Kardashian. 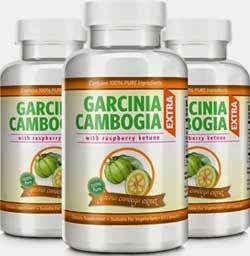 Garcinia Cambogia Extract: Garcinia cambogia is a species of fruit that is common in Asia and some parts of Africa. It is a highly nutritious source of food, but its main weight loss enhancing qualities are courtesy of a compound called hydroxycitric acid (HCA) that is located in the rind of the fruit. HCA assists weight loss by providing appetite suppression and preventing the body from converting carbohydrates into fat. Although the HCA in garcinia cambogia can be quite fast-acting and deliver consistent results, scientists are still unsure how this is achieved, although one study conducted in Omaha, USA, offers a partial explanation. Only two capsules are required each day, the first of which should be taken 15-30 minutes before breakfast, and the second 15-30 minutes before lunch. Capsules should always be taken with a full glass of water. 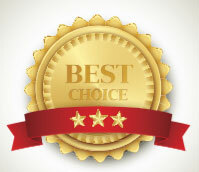 The Liproxenol Max website contains a wealth of written and video testimonials that praise the product in the highest terms. One man states he lost 12.5kg, and another customer sates she lost twice that amount. In both cases the accompanying pictures are very persuasive, but such positive testimonials would carry more weight if they had come courtesy of a less biased source. The FAQs page on the official site states no side effects have been reported, but points out the Liproxenol Max is not suitable for anyone who is pregnant or nursing a child. People who are taking medications should ask a doctor’s advice before using Liproxenol Max alongside their normal medicines (including over-the-counter herbal formulations). J.C. Arnica provides all customers with a 90-day money back guarantee. Liproxenol Max is only available directly from the manufacturer, so Australian citizens will have to purchase via the official website. Each bottle contains 60 capsules and costs AUD$ 29.95, but with shipping and insurance the total spend is just under AUD$ 40. Bulk buy incentives are available, with the best deal going to people who purchase four bottles of Liproxenol Max for AUD$ 119.80 and receive a further four bottles for free, plus four bottles of African Mango Rapid Slim, a digital pedometer, and free shipping. If you are looking for a natural diet supplement and have considered Liproxenol Max would recommend Garcinia Cambogia Extra. Garcinia Cambogia Extra contains both Garcinia and Raspberry Ketone (the correct dosage) – it is arguably the best of its genre.